On Wednesday, February 13th, Missouri State University Associate Coach Kirk Nelson will be at the Soccer Park to run training sessions for high school ages players. These sessions will be open to the public. 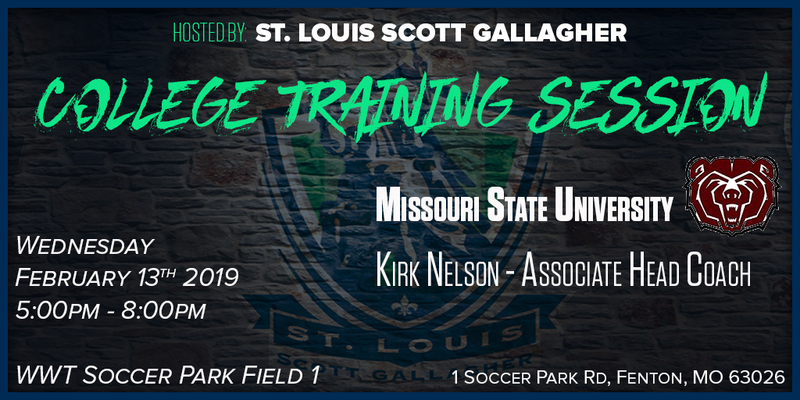 SLSG is excited to host Coach Nelson and provide this opportunity to all high school players. If you are interested in attending, please contact Shaunna Brandt at sbrandt@slsgsoccer.com.